In the past, I’ve frequently argued that both human rights and human dignity are social constructions: they are what people—society—think they should be. So human dignity, in particular, is an evolving concept. In most societies for most of human history, for example, a dignified woman was one who was willingly subservient to whichever male relatives held authority over her. Now, in more and more societies, we think of dignified women the same way as we think of dignified men, as possessing autonomy and able to realize their own life projects, as being treated as equals and with respect by others. In the more recent past, most societies treated sexual minorities as essentially undignified and unworthy of respect; now, many societies try to afford them recognition equal to that afforded to normative heterosexuals. 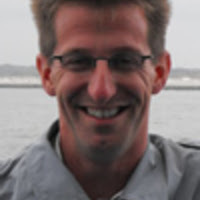 Matthew S. Weinert is a political theorist and theorist of international relations who takes the idea of social construction one step further, showing how international (inter-state) society is constructing a world society in which the human being, not the state, takes center stage. You can read his argument in Making Human: World Order and the Global Governance of Human Dignity (University of Michigan Press, 2015). I had to suspend my normal skepticism while reading Weinert. I tend to assume that pronouncements about human rights and human dignity by the various state-centric organs of the United Nations, such as the Security Council, the General Assembly, and the Human Rights Council (so-called) are so much fluff, hiding the continued preoccupation with state sovereignty and the sovereign right, in practice if not in principle, to violated individual human rights. By contrast, Weinert shows how the rhetoric and discourse of the Security Council and various other organs is changing, to make the human being the centre of the world’s preoccupation. Wienert addresses four areas of world governance where discourse—and sometimes practice—is changing. The first of these is in the Security Council itself. Far from occupying itself only with inter-states threats to peace and security, its new preoccupations include resolutions on children and women. One might view these merely as lip service, especially when keeping in mind the way that the United States, China and the Soviet Union/Russia have utilized their vetoes since 1945 to protect their sovereign interests and those of their allies. On the other hand, women and children were not objects of the regard of international society at all until recently. Weinert’s second area is the new discourse of human security. I’ve expressed concerns about that discourse in my article “Human Security: Undermining Human Rights?” (Human Rights Quarterly, vol. 34, no. 1, 2012, pp. 88-112: you can find that article here http://scholars.wlu.ca/cgi/viewcontent.cgi?article=1026&context=poli_faculty.) 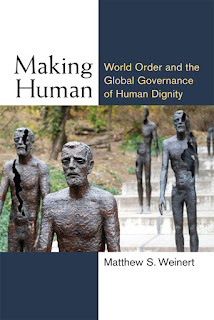 But Weinert shows convincingly how the human security discourse focuses attention on the entire range of phenomena that cause human beings to feel insecure. In particular, he notes how human security tries both to protect individuals from insecurity and empower them to overcome it. Human security is a way to combine development activities with individual human rights. It also undermines the notion that state security is always more important than the security of the entire human community. Weinert next discusses how the system of international justice has been altered to specify human dignity. The two international tribunals on Yugoslavia and Rwanda, set up in the 1990s, have paid much attention to violations of human dignity, occasioned for example by gang rapes and various other types of sexual enslavement, such as forcing women prisoners to dance naked on tabletops for their captors. Along with the International Criminal Court, these courts have specified what human dignity means and what actions are now beyond the pale, as much crimes against humanity as genocide was seen to be in 1948, when the Genocide Convention was declared. Underlying Weinert’s entire argument is a deep compassion for the suffering human being. His starting point, he says, is not a thin cosmopolitanism but rather attention to cruelty. Citing Hannah Arendt, he wants everyone to have “the right to have rights.” This might seem redundant, but it is not. Possession of rights is still contingent on membership in a sovereign state. This means that the 12 million stateless people in the world today; refugees in precarious limbo in states not their own that take very little care of them; or “undocumented” or weakly documented migrants do not really have that right. It also means that those seen as less than human, such as women, indigenous people, sexual minorities, and ethnic, linguistic or cultural minorities, don’t really possess the right to have rights. The 1948 Universal Declaration of Human Rights and the many subsequent documents of the international human rights regime proclaim that all human beings are equal. That is their legal status under the regime, but it is not the actual social situation: the regime is still normative, rather than a description of fact. Wienert shows us that the subtle transformations taking place in international discourse may contribute, in the long run, to transformations in political practice. A world society of individuals, one hopes, will someday replace the international society of states. I am neither a political theorist nor a scholar of international relations, so I probably can’t do justice to Weinert’s learned and complicated arguments. But I highly recommend this book to those who are, as well as to human rights scholars who wish to stretch their minds, as I had to do in reading Making Human.